Explore the Seas in Catan: Junior! 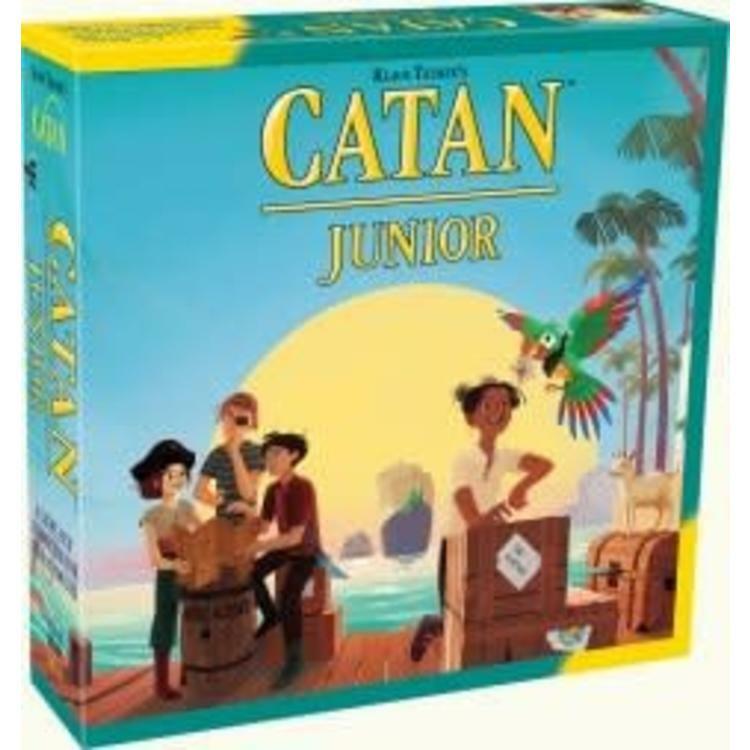 Catan: Junior takes place on a ring of islands where 2 to 4 fledgling swashbucklers build hideouts, and the mysterious Spooky Island, where the Ghost Captain lives. Each island generates a specific resource - wood, goats, rum or swords - and players can acquire gold. Each player starts with two pirate hideouts, then builds ships in order to expand their network. The more hideouts you build, the more resources you may receive. Just watch out for the dreaded Ghost Captain! Be the first player to control seven pirate hideouts and you win!